Food, water and air (Oxygen) are vital for all living beings to survive on this planet. Pollution of thesehas to be cleansed before consumption to lead a healthy life. Of these, food and water can be purified due to the visibility of impurities, whereas the air that we inhale contains a variety of toxic materials, bacterial contaminations, etc. thereby finding it hard to be purified that easily. Added to this, the prevalence of negative energy in the five cosmic elements termed as Panchaboothas namely “earth, water, light, air and space”inside a house pave way to all sort of negative emotions like stress, irritability, fear, anger,sensitivity, violence, etc.This unhealthy energy (air pollutants) of the atmosphere indeed leads to the total sickness of the cell vibrations in the body, the function of which has the effects of the cosmic elements, thus passively invoking various chronic diseases. In ancient days, rishi munis adapt radiant cosmic vital conscious energies of the 12 cosmic entities to protect them from evil spells and poisonous creatures causing danger, while passing by the dense forests.Similarly, we perform “Yagnas” to invoke the power of cosmic energy, thus protecting ourselves from all kinds of evils and improve our overall health. It also naturally purifies the air by eliminating the impurities. Bhagavan Sri Dhanvanthiri Foundation which is performing research and experiments on natural medicines and bone marrow for over forty years with proven positive outcomes of various incurable chronic ailments, after extensive research has come out with a formulation comprising of the roots of 26 divine medicinal plants, “THE COSMIC ENERGIZER”, a natural air purifier that greatly neutralizes the toxicity of the air you inhale indoors. It aids us in the removal of contaminants that have found their way in and giving the air you breathe a fresh start, thus retaining the oxygen in the inhaling air thereby purifying the blood in our system. 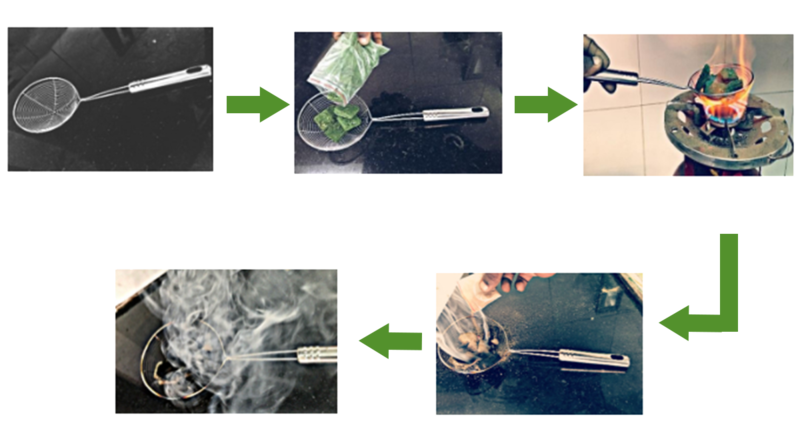 Its usage is as simple as having dhoop smoke (sambrani fumes) in our household. All we have to do is, sprinkle the cosmic powder over the burning charcoal and spread the fumes in all directions inside the house for a few seconds. Continue to do the same for a month and then you’ll be surprised about the positive changes happening in you thereafter. Anywhere between 5.30 – 7.30 pm works best as the air after sunset will be more prone to be filled with toxic gases, especially carbon dioxide and this helps eliminating those.